Earn a Coca Cola Scholarship for 2019 and become one of the Coca Cola Scholars. Some of these scholarships encourage leadership, and some are for first generation college students. Awards up to $20,000. The Coca Cola Scholars Program is one of the most recognized and respected corporate sponsored scholarships in the United States. Created in 1986 as a joint effort of Coca-Cola Bottlers and The Coca-Cola Company to commemorate the 100th anniversary of their flagship brand, the program establishes a lasting legacy for the education of tomorrow's leaders through college scholarships. More than 4,250 scholarship recipients, called Coca Cola Scholars, have benefited from more than $38 million in college scholarship awards since the program was established. The Foundation also contributes $3 million annually to students entering college in its "Four-Year Award for Seniors" program and another $400,000 in its "Coca-Cola Two-Year Colleges Scholarship" program. Coca Cola Scholars must commit to a lifetime of community leadership and service upon receipt of their coke scholarship. Perhaps things really do go better with Coke! Merit Based - The coca cola scholarships are merit based scholarships, and no, you do not have to be a coke drinker to qualify! The foundation focuses on students who have demonstrated leadership skills and participation in their communities through volunteering as well those who have excelled academically. Application Due Date - Interested applicants must apply during their senior year in high school. Applications are accepted from August 1 - October 31 each year. Coca Cola Scholarship Requirements - The program is open to all high school seniors, whether home schooled or in a traditional school, in the United States who are U.S. citizens or legalized residents. They must meet the minimum GPA requirement (see below), and they cannot be children or grandchildren of Coca Cola employees. More detailed requirements can be found below. Are you the first in your family to attend a college or university? The Coca-Cola First Generation Scholarship program has awarded more than $19 million in scholarships to support students who are the first in their immediate families to go to college. The program has reached more than 1,000 students at approximately 400 U.S. colleges and universities. Interested students should contact the school they are planning to attend to ask whether a Coca Cola First Generation Scholarship is in place, and if so, for the application. 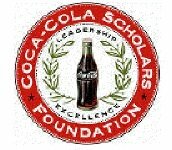 Coca Cola Scholars - This scholarship program is for those high school seniors who will be attending a 4-year college or university. The Coca-Cola Scholars Program awards 250 four-year achievement-based scholarships each year. Coke Scholarship Semifinalists - From the original applicants, the scholarship committee will choose approximately 2,200 semifinalists. These semifinalists will submit a secondary application, and from this group the 250 finalists will be chosen. Coke Scholarship Finalists - In April of their senior year, the 250 Finalists are invited to Atlanta for personal interviews. The Finalists are interviewed by a National Selection Committee representing outstanding leaders in business, government, education and the arts. 50 students are then designated as National Scholars and will each receive a $20,000 award for their college or university. The remaining 200 students are designated as Regional Scholars and will each receive a $10,000 award for their college or university education. Information about the interview is sent with the letter telling the student they are a finalist. Interested applicants must be: •	Current high school (or home-schooled) seniors in the United States. •	U.S. Citizens; U.S. Nationals; U.S. Permanent Residents; Temporary Residents (in a legalization program); Refugees; Asylees; Cuban-Haitian Entrants; or Humanitarian Parolees. •	Anticipating completion of high school diploma at the time of application. •	Planning to pursue a degree at an accredited U.S. college or university •	Have a minimum 3.00 GPA at the end of their junior year of high school. 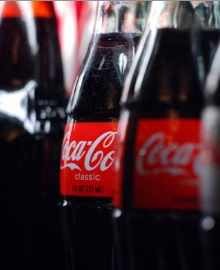 •	Children or grandchildren of employees, officers or owners of Coca Cola bottling companies, The Coca Cola Company, Company divisions or subsidiaries are not eligible. Coke Scholarship Application - The online Coca Cola Scholarship Application is available August 1 - October 31 at the following website: www.coca-colascholarsfoundation.org. For additional information on how to apply for a Coca Cola scholarship, call this phone number: 1-800-306-2653. For students who attend or plan to attend two year colleges and earn a two year degree, there are 400 Coca Cola scholarships available. The top scoring student in each of the fifty states will be named a New Century Scholar and will each receive a $2,000 scholarship for college. Additionally, the remaining 350 students will be named Gold Scholars, receiving a $1,500 scholarship, or Silver Scholars, receiving a $1,250 scholarship, or Bronze Scholars receiving a $1,000 scholarship. A state may have multiple Gold, Silver, or Bronze Scholars, making this one of the best community college scholarship programs. All scholars will also receive special medallions. It is the responsibility of the financial aid department at the college to nominate applicants, but students can let the office know if they are interested in a nomination. To be eligible for a nomination, students should have a minimum GPA of 2.5, be a U.S. citizen, have verification from the school that they have volunteered within the past twelve months, and plan to take at least two courses the following semester. To be eligible for these programs, students must submit an application for the All-USA Community College Academic Team/Coca-Cola Community College Academic Team. For additional information on how to apply for a Coca Cola scholarship, call this telephone number: 1-800-306-2653.